Employees at the Airbus Filton, Bristol facilities in England help advance aerospace activities with a dedicated lifecycle approach to their endeavors. This includes design, supply chain, manufacturing, aircraft operation and end of life phases which are subject to definition, analysis, and ongoing improvement. Filton designs all wings, fuel systems and landing gears for Airbus commercial aircraft, and makes the wings for the A400M military transport plane. The group’s adherence to their principles has helped result in Airbus aircraft showing a reduction in CO2 emission of 75 percent in the last 40 years, a drop of nitrogen oxides of 90 percent, and a reduction of noise by 65 percent. Airbus is the only aircraft company to be certified to ISO 14001 environmental standards, according to the presentation Andrew Nixon gave to the Western England Aerospace Forum (WEAF) Annual Conference earlier this year. In January, 2015, the Bristol Wing of the Light Aircraft Association, the UK equivalent of the Experimental Aircraft Association, made the following announcement in their newsletter, the Brissle Strutter (LAA chapters being called “struts”). Help Needed! 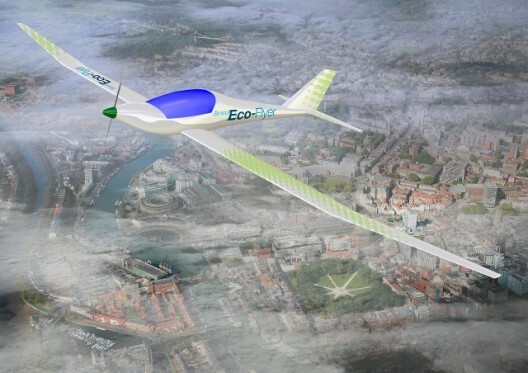 Experts to support Airbus Eco-Flyer project. There is an exciting local project launched by Neil Scott, to design, build and FLY an electrically powered plane! What? This is basically our own home-grown build a plane project for supporting Bristol as Green Capital UK for 2015. The aim is to design and manufacture a light general aviation aircraft to fly by the end of 2015. The aircraft will be electrically powered considering ‘green’ life-cycle and designed/built as a graduate/apprentice project Some further details and timescales are available on request. When? Airbus intend to have the plane designed, built and flying for December 2015 (ideally) – so they have one year. The Strut was looking for Royal Aeronautical Society assistance and help from anyone with Science, Technology, Engineering, and Mathematics (STEM) experience or expertise to support their ambitious schedule. 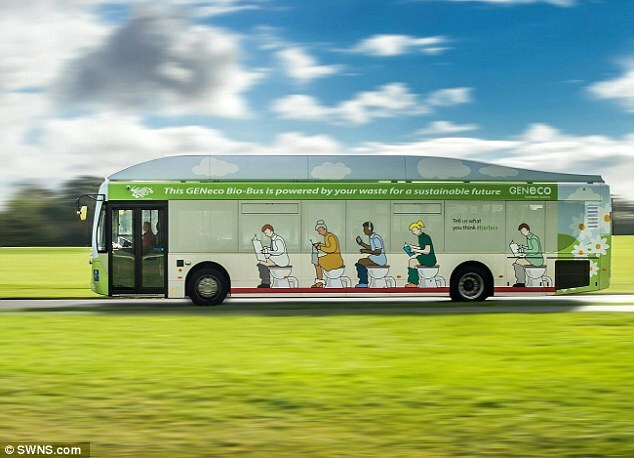 The Bristol Eco-Flyer project has been led by graduates and apprentices at the firm’s plant in Filton, near Bristol. Bristol stages an annual VentureFest, showing off its many technological achievements. Eco-Flyer was in good company this year, sharing its display space with Airbus’s more formally recognized green aircraft, the e-Fan. At least two other environmentally-friendly vehicles helped cram the exhibit space, Geneco’s VW Bug, and the City’s Number 2 bus, both fueled by biomethane drawn from the city’s waste treatment plants. Bad puns abound. The plane has a purer pedigree, flying on batteries and eventually sunlight with no carbon emissions. The project has lofty ambitions, using skills and tools normally used for the big Airbus aircraft at “to push to boundaries of next generation, eco-efficient, light aircraft design.” Coinciding with Bristol’s year as European Green Capital, this technology demonstrator could be inspirational and influential for the future of electric aircraft design. Built with the life cycle of materials in mind, fabrication techniques take advantage of the lack of waste in 3D printing, using that to make complex, one-off “nodes” which will tie titanium tubes together in a light, strong truss fuselage structure. Furthering the theme, lithium polymer batteries will power the 48 kilowatt motor, with an energy target of 22 kilowatt hours. The team is investigating room temperature carbon fiber resin curing as well as using natural fibers in place of carbon for non-load bearing sections. All this focuses on achieving a target empty weight of 578 kilograms (1,271 pounds) and a maximum take-off weight of 750 kilograms (1,650 pounds). A plane with an 18.5 meter (60.7 feet) wing span and that low weight should climb well on relatively low power, and cruise at altitudes beyond conventional light aircraft. The designers anticipate a design cruise speed of 96 knots (110 mph), maneuvering speed of 77 knots (88.5 mph) and a never-exceed speed of 134 knots (154 mph). Available batteries limit endurance to one hour, a shortcoming shared by other electric aircraft now. We wish the designers and builders good fortune and better batteries for this venture, with hopes that it graces the hall at VentureFest 2016.